What a great end to the year and new beginnings for the International Budo Federation Australia with it’s Judo Department gaining recognition by the Combat Sports Authority in NSW. We, the IBF-JD, are extremely excited for the future for traditional Kodokan and Kosen Judo in Australia. After nearly 2 years of patience and determination the IBF-JD has been approved by the sports minister of NSW as an excepted organisation and as an exempted Judo group to operate International events and seminars with the approval of our state and Australian government. This is a great boost to the IBF-JD which has been gaining huge growth with more interests and memberships from all over the country. Now with the strong backing of our national and international Judo body it greatly enhances our reputation here. This means that the state government of NSW has recognised the IBF-JD as a professional organisation and that it approves fully what we stand for and deliver to our martial arts community in this country. Stay tuned for the IBF Australian Judo events coming in the near future. 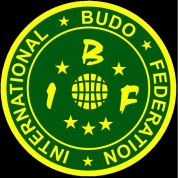 We, the IBF-JD, are also on a mission to select the best from some of the divisions to compete for the IBF world Judo championships held in England ( London ) to represent us from Australia. Thank you for believing in the IBF-JD. I’m looking forward in seeing our members in our up and coming future events. Sensei John Guljas IBF-JD director. ​The IBF - Australia has been involved in promoting martial arts events and supports many other good martial arts organizations. Our network goes beyond just our members. Over the years we have inspired people to re-open their clubs, highlighted pioneers, published history and brought many of the different styles together at workshops where relationships have now been formed. We have helped promote local instructors and directed public inquiries to our members. We have supported instructors who have lost connection with their previous peer group by attending student and principal grading. There are many groups formed now days, some seeking to control a sport, some for money and some for self recognition. The IBF is a hub for promoting activities to bring people together, to strengthen the diverse range of martial arts organizations, to promote integrity give recognition of those who have earned it and to support all good martial arts events. We encourage you all to ensure you have insurance. Rather than having one agency controlling it we encourage you to get quotes and then negotiate with the agents that were ready to respond to your calls professionally. Below are some contacts. ​To help you the things to be aware of are: Does cover include competitions and events? Do you need separate insurance for fundraisers etc? Does it cover you in other venues? Sometimes you may instruct at someone else’s venue or functions. Are your students covered? Most policies do “NOT” cover the participants. Does a dojo at home need a separate entry to qualify or is it excluded? Are assistant instructors covered when you aren’t in attendance? Are you covered if your student negligently hurts a 3rd party? Is your waiver effectively written? IBF Australia members have the advantage of being involved with one of the most active and diverse networks of martial artists in Australia, a very supportive group of people from many styles, a presence on our website including links for the public, a peak body with transparent and verifiable ranks and connections with many local and overseas organizations. We thank you for your patronage and hope you benefit from the member privileges and hope you will continue on as part of the IBF Australia’s “Better Martial Arts Community”. Kym has supported the IBF community for over 10 years and has now after 45years been graded by the global body his 7th Dan. Also the DNBK has recognized his rank as 6th Dan in Jujutsu and bestowed the title of Renshi. SA will have another training day in May and Qld is set for August. President Terry Riches should be having the screws and plates taken out of his leg and once we know we hope to get to WA. Our main focus will be on bringing our members into the eyes of the public. We will be able to do membership renewals through this site. If you know of good martial arts practitioners who would like to join please direct them to us. It's your community, why not make sure that we have the right people involved. Some will ask what are the benefits. Where else for only $100 will you have exposure on a globally recognised website, recognition and involvement with many great martial artists and events. We also support events that members may want to promote through our Facebook pages. We work with a lot of groups to help the many styles and competitions available if we feel it is in the interest of the members. It's about building a better martial arts community.